373 Yearlings and Horses-in-Training have been catalogued for the Goffs UK Autumn Sale at Doncaster (24 – 25 October) which will also offer a dedicated Point-to-Point Session for which entries will be taken up to the time of the sale. 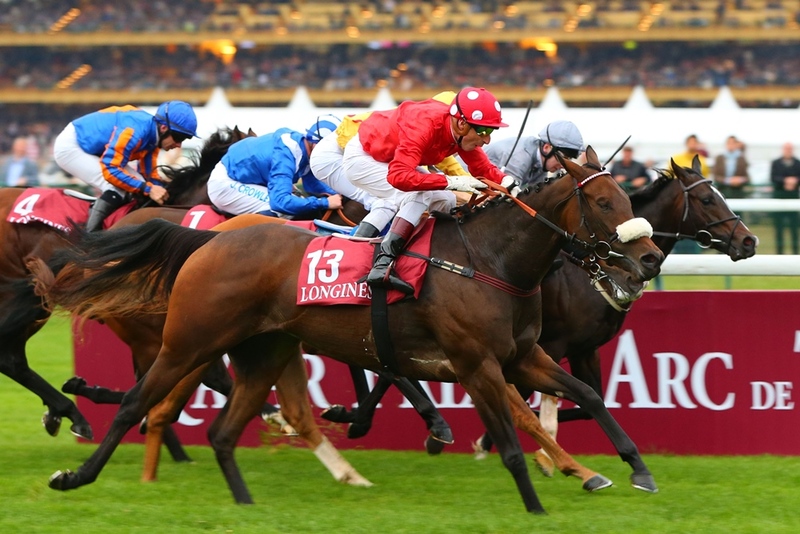 Graduates of the Autumn Sale have had a successful 2018 and are headed by the yearling graduate MABS CROSS who won the Group 1 Prix de l'Abbaye de Longchamp Longines at Sunday’s Qatar Prix de l'Arc de Triomphe meeting. The sale will offer buyers the last chance to secure a performing Goffs UK yearling in 2018 with 156 catalogued – seven of which are eligible for entry in the £300,000 Goffs UK Premier Yearling Stakes at York’s Ebor Festival. The Yearling Session will be held on Wednesday 24 October from 12 noon and will feature progeny by sires including Bated Breath, Brazen Beau, Camacho, Dandy Man, Dutch Art, Footstepsinthesand, Heeraat, Hot Streak, Outstrip, Showcasing, Starspangledbanner, Zebedee etc. Lot 226, JUDGE EARLE, a Hurdle and Bumper winner who placed second on his Chase debut at Kelso on 7 October. 251, OTTONIAN, a 4YO son of Dubawi who has won both his Flat starts over 1m4f and 1m6f. 261, BUCK'S BILLIONAIRE, a half-brother to the multiple Gr.1 winner BIG BUCK’S, who placed third on his second and most recent Bumper start at Kilbeggan in September. 285, CARRY ON, a 3YO son of Footstepsinthesand who won his Bumper debut at Huntingdon on 4 October. 290, AGGRESSIVE, a 3YO who produced an impressive performance to win his debut Bumper by 10 lengths at Huntingdon on 4 October. 336, MONTALBANO, a six-time race winner who is Gr.2 placed over Hurdles. He has won two Class 3 Chases this year, his most recent on his last start at Ballinrobe in September. 337, CAMELIA DE COTTE, a Hurdle winner who is also unbeaten in two Chase starts including her most recent race at Listowel in September where she beat the subsequent Novice Chase winner Ellie Mac. 355, BOOK OF DREAMS, a 3YO and four-time race winner on the Flat whose wins include the Class 2 Royal Mile Handicap at Musselburgh and a Class 3 at Chelmsford on his last start in July. BHA Flat rated 93. 371, ISLAND SONG, a 4YO filly who has won five of her last six starts including when stepped up in trip to 1m4f on her latest victory at Newcastle in September. 374, BRANDON CASTLE, a seven-time race winner whose wins include this year’s Class 2 Queen's Cup Handicap at Musselburgh. BHA Flat rated 95. 396, TOUCHEDBYANANGEL, a three-time Class 3 Hurdle winner this year with his most recent victory coming on his last start at Kilbeggan in August. “Goffs UK yearlings have enjoyed a superb season on the track through the exploits of star filly Laurens and 2YO Advertise and it was very timely to see sale graduate Mabs Cross join that list with a much-deserved Group 1 victory on Sunday. She is a brilliant example as to the talent that can be found at this sale. To supplement your horse in the Autumn Sale, please contact Goffs UK on +44 (0)1450 372222. The Goffs UK Autumn Sale at Doncaster will be held on Wednesday 24 October from 12 noon (Yearling session) and Thursday 25 October from 10am (Horses-in-Training and Point-to-Point session).